Found in Mumbai, a cluster of information, written in two scripts – the color doesn’t appear to have been used completely synonymously, but its still nice to see the size difference and placement of each level of hierarchy. 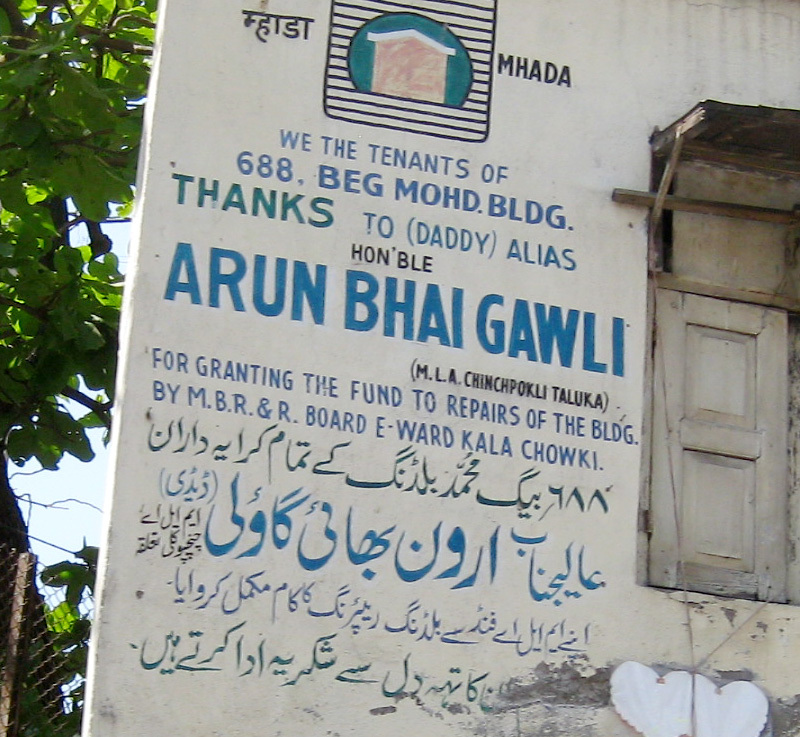 I was recently asked if I had seen much interlinear multilingual type and lettering in India. Of course there was tons of English + (whatever the local language was) in signage, but as for print materials, I haven’t seen much side-by-side use. And not as many signs with multiple Indic languages as I was expecting. (Delhi had quite a few with Hindi/Gurmukhi/Urdu) Does anyone know any other very mixed-language cities? Haha, send it my way, for sure!